Your podcasts have been such a great escape now that I have returned to an ever-boring desk-job…thank you for that! And I’d LOVE to win some yarn! Fantastic, as always! I love listening to your podcast during my lunch break at work. Sometimes a little fiber talk is just enough to get me through a long day! Can’t wait to get a quiet moment to listen! Yeah, some more Vermonters. I would love to knit with some Wenleydale yarn. love the locks. i would knit them into the edge of a shawl or felt into a project. thank you for making this possible in our fiber world. I’ve never knit with Wensleydale yarn. I’d love to give it a try. Thanks for the giveaway. Love Wensleydale and the efforts these wonderful women are putting into their farm. I’m always so inspired after listening to the podcast. It was so cool to hear from someone who has built a flock even without land of her own. I’d love to try Wensleydale! Ah! I’ll be happy to be able to get the podcast and stick it on my iPod only because i can’t seem to backup our very well on the web version. Love all the guests on your cast, thanks for doing this! I loved this topic and its focus on breed specific wools. My mom and I listen together, and she’d love her own skein of Wensleydale since I just bought some at Md Sheep and Wool. Thank you for another excellent podcast! I appreciate the variety of topics, and was pleased to see the possibilities that can be available through boarding. Having a great Tuesday night. Catching up on some sewing and the last two podcasts! Wish I could reach through the screen and squish that fleece/fiber/yarn. Man I need to learn to spin. Maybe I’ll just knit instead. Great episode! I love hearing the different journeys people take to get where they are and this one was wonderful! Thanks Jeri for sharing 🙂 love their yarns, will definitely be purchasing some in the future! I always look forward to your podcasts. I gasped and felt chills run down my spine when I started listening to this podcast! Wensleydale sheep!! I adore them, greatly, and have dreams of raising a flock of my own. You see, my husband is a Metcalf – a clan that goes back into the 9th century in North Yorkshire, specifically in Wensleydale, where Wensleydale sheep obviously originated. We both have talked so many times about eventually starting a herd of our own, both out of my love for the wool that they produce and for our love of the place that gave them their name. Thanks so much again for a wonderful podcast. It is a highlight of my podcast week! This yarn is lovely! Thank you so much for sharing these stories with us via the podcast. As many said, listening has become a mini fiber escape when ever I find the time. Thank you, Ashley!! Dear me! Just when you thought sheep couldn’t get any more adorable…Wensleydale, I’m smitten! 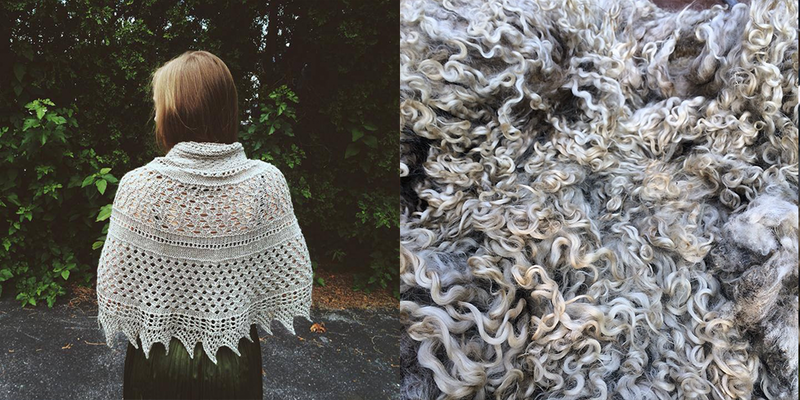 Would love to knit with some of their curly locks! As a materials engineer, it’s great hearing about breed specific wools and their properties. 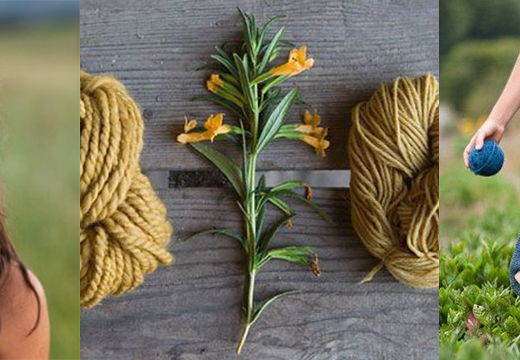 Would also love to hear more about different plant fibers used in spinning, weaving and knitting. Your guests are so varied, I’m thrilled hear of more great fiber producers in my area. I will definitely seek out Flying Fibers during our summer travels! I love discovering new fiber artists through your podcast. Filling my instagram feed with yarn-y goodness is my favorite. I just had a little nerd fantasy of eating Wensleydale cheese thine knitting the yarn and watching Wallace and Grommit. I need help. And yarn. I enjoyed listening to this mother-daughter team, especially about the Wensleydale sheep and their efforts to preserve the breed here in the U. S.
Thanks for the opportunity to win some of their wonderful wool. I would love to try out this yarn. Thanks for all the inspiration. Would love to try out this yarn! Love a Wensleydale:) Looking forward to listening. Love your podcast. A nice pause in a busy week. Thank you for the giveaway! This yarn is new for me and is good to know something more about it. This has been my absolute favorite episode! 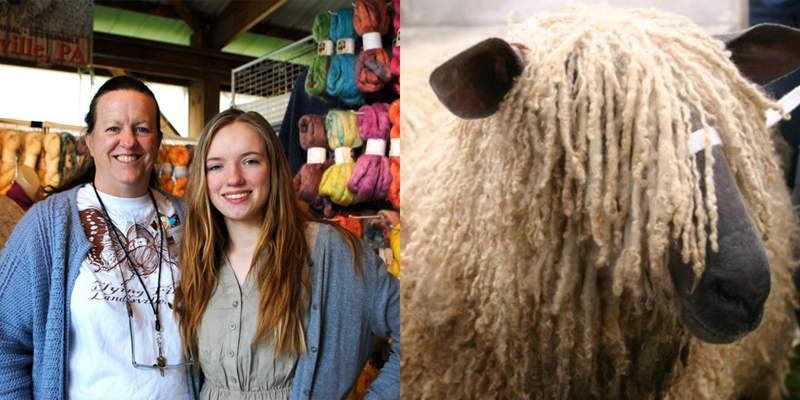 Listening to this mother-daughter team reminds me so much of the Lincoln Longwool flock my dad and I have. So awesome to hear them talk about breed preservation! They spoke about many of the same struggles that the Lincoln breed is having currently. This episode made my day! Thank you! I just re-started weaving and would love to add heritage breed wool to my work! What a wonderful flock! This episode made me smile because it reminds me of me and MY mom. 🙂 It’s so great to see young people seriously interested in farming and fiber arts. Great podcast this week! I’ve only started listening recently and have been making my way through all the episodes. Inspiring stuff! I love that all of this knowledge is being passed to the next generation and that the younger generation is willing to learn and is interested in all of this. I would love to win! Thank you for all of this information every podcast. Inspiring as always! Would love the chance to try out the Wensleydale! Such a great story!! Thanks for sharing this one and all the rest with us. I too would like some Wensleydale. One of my greatest enjoyments is listening to your podcasts and living vicariously through them. I’m sooo pleased that you are doing this. I would love to work with this yarn and experience the feel of it moving through my fingers. Another fantastic episode. I learned so much. Thank you for doing what you do. You inspire me so much! I just started listening to your podcast a few weeks ago. I have enjoyed all of the stories, but Jeri’s story has been my favorite because for her, it started with the love of sheep. So many of us start with knitting/weaving/etc. and work backward. Thank you for sharing Jeri! 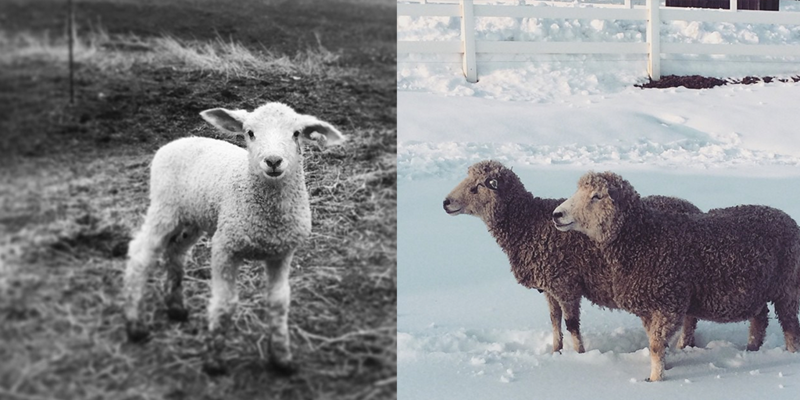 Love learning to able all the different sheep breeds through the podcast — would love to try some Wesleydale yarn. I also appreciate the perspectives of people of different ages/generations that have been profiled on the podcast. Thank you for another lovely bit of inspiration. We would love to have our own farm one day & I found the heritage breeds resistance to diseases to be really interesting! This was so interesting in so many ways. I’m originally from SE PA and loved hearing about fiber folk from there. I’m heading off to a fiber farm stay this weekend down by Durango, CO. The hosts raise both Wensleydale and Luster (or is it Leceister?) Longwools. How amazing to learn more about these breeds before I go there. I’m not entirely sure how I found out about Wooful, somewhere on the discovery page of instagram I imagine, but I am so happy I did. What a source of inspiration, I’ve been binge listening to the podcast since I discovered it just over a month ago. I’m new to the fibre world, but I feel hooked. I knit my very first sock a few days ago and boy did I learn a lot. It’s a little misshapen, is made with the completely wrong yarn for socks and has some mistakes peppered in, but I learned as I went, scouring the internet for patterns, videos and tips. As I knit I listened to you and all your wonderful guests, it felt as if I was being cheered on by each and everyone of you. I am so excited to really immerse myself in all things fibre, and follow Woolful as it also grows and progresses. What a fantastic pair! Lovely podcast as usual. Am off to look at their website! 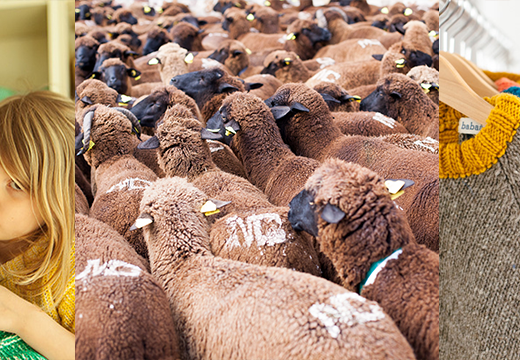 These sheep are charming to look at! I just want to give them a big hug. 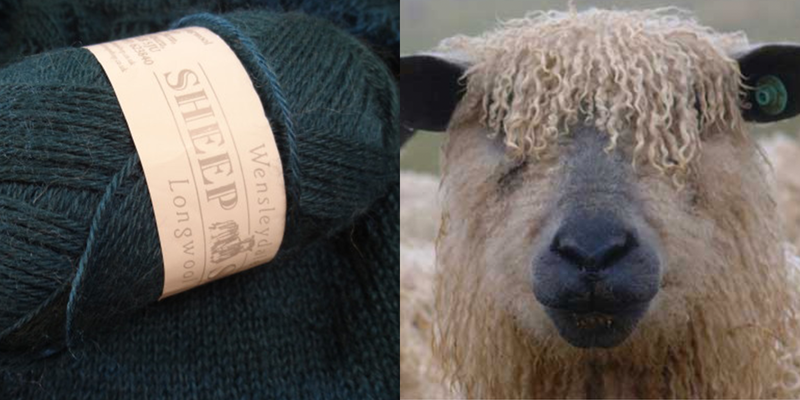 I’d love to knit something out of Wensleydale wool. Ashley – keep up the great podcasts – so very interesting and informative. What a lot of fun those two are – I’d love to hang out with them and their sheep! Can’t wait to finish work today and grab my knitting and listen to this! I loved hearing how passionate this mother and daughter team are about their work. Very inspirational! Thank you for the wonderful giveaway. 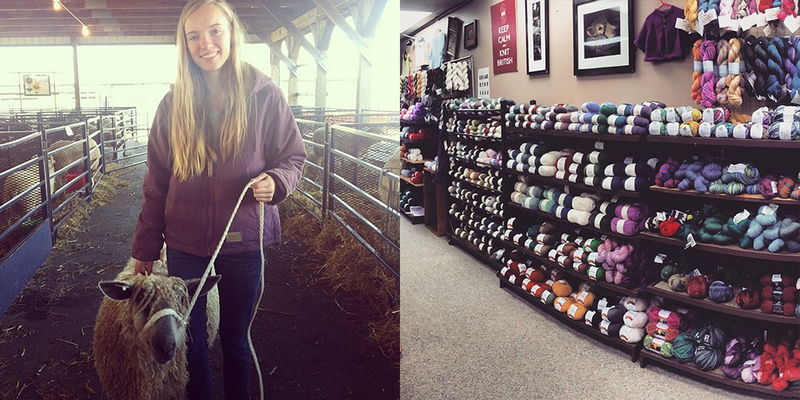 So nice to hear from a mother/daughter team with a shared love of sheep and fiber! I really enjoyed this podcast. Very interesting on the rare breeds of sheep and hearing Irena’s and Jerry’s story. Can’t wait to try their yarn. So interesting! Really looking forward to listening to this episode! As always informative, well put together and a delight to listen to! What a great story and such a fun duo to listen to! I’d love to win. What an inspiring mother & daughter team. I loved hearing your story, thank you so much for sharing. Great episode! I loved hearing their story! Your podcasts are an amazing window to a world I adore. It’s great to get to know the stories behind the people I follow for so long, learning more about wool and it’s people. Thanks for sharing these words. I love how wool can bring families and communities together. Maybe there’s more to the expression ‘close-knit’ family than meets the eye. I learn so much from your podcasts — thanks! I went on the website and checked out the wool from the Wensleydales. Now I’m coming up with reasons to justify sending off for some DK . . . Loved the podcast, as usual! I haven’t had much time to knit these days with an infant, but your podcast always fills me with inspiration for those few moments I do have with my needles, and has given me so many ideas for projects and fibers I want to explore in the future! Hoping to cast on for the Pure shawl next! Nice to listen to hear how this family is making their dreams come true in unexpected ways. Hi- Thank you for this wonderful podcast! It opened my eyes (and ears) to an awesome small business right in my own backyard. Thanks so much for sharing! each week you talk to such interesting and varied people! I love having access to so much of our community thru your careful and loving interviews! Thanks for another interesting podcast! I love to hear other folks’ fiber journeys. 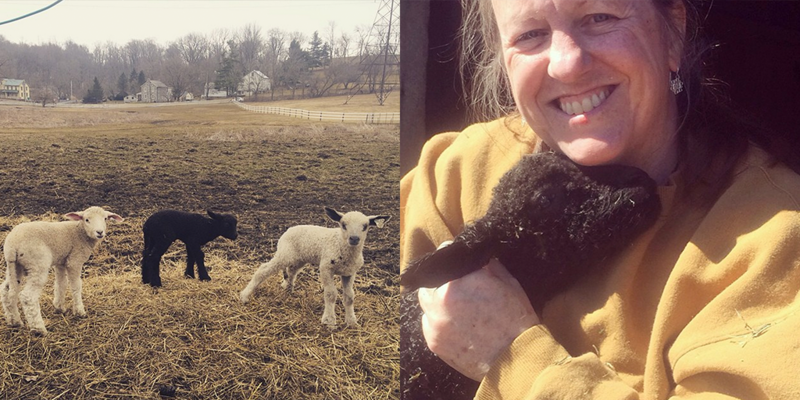 I used to be in 4-h raising sheep (as well as rabbits and turkeys), so I have some memories of lambing and all that goes into caring for sheep throughout the year. Thanks for offering these great giveaways, I’d love to try this yarn! Loved it and hope to stop by their shop next time in Lancaster! Thanks, Ashley, for this amazing podcast! Thank you so much for your podcast! I would love some lovely new yarn to work with :). Thanks! P.S. I discovered that I went to high school with Stephen (from your last episode)! Small world. I didn’t know about the knitting club at the time (it was a huge school) — I missed out! Thank you for your wonderwoolful podcast! You have such interesting guests- something for everyone! Would love to have some yarn from their special sheep in my stash! Your podcasts are both relaxing and exciting. Now I have so many yarns I would love to try! Including this one (hint hint). I stumbled upon your podcast today while knitting and fell in love! Thank you for such a fantastic episode… a road trip is now in order! The Flying Fibers mission really is encouraging. I am so sympatico with Jeri! Preserving heritage breeds and sheep diversity… I’ve had the opportunity to visit an Illinois farm with Leicester Longwools and I’m currently spinning some ShetlandxLeicester Longwool fiber from that farm. I’ve also had the chance to knit some Wensleydale. Lovely stuff! I just found you podcast and I LOVE it! So fun to knit while I am listening and become so inspired! I enjoyed hearing how Flying Fibers got going-the stories behind the yarns are so interesting. Loving this podcast. Flying Fibers is such an authentic operation. Its powered by love. Thanks For sharing. I so enjoy your podcast with Flying Fibers. I look forward to the personal journeys shared by your guests. The inspiration and knowledge leaves such a huge impression and has changed how I look at yarn and the world of fiber. Thank you. 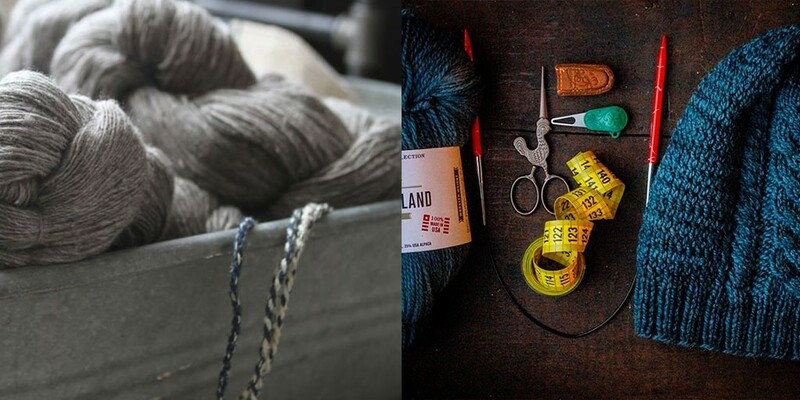 great episode from a new woolful listener – thanks for introducing me to so many wonderful makers through the podcast! I so enjoy hearing about different rare breeds…so interesting. Many thanks for bring this exceptional podcast to the fibre world! It got me checking pictures of Wensleydale et leicester, and they are very big sheep indeed! Would love to try spinning and knitting with these fibers. Love these podcast! I so love being able to delve my hands in the fiber while my mind is entertained by the makers of such!